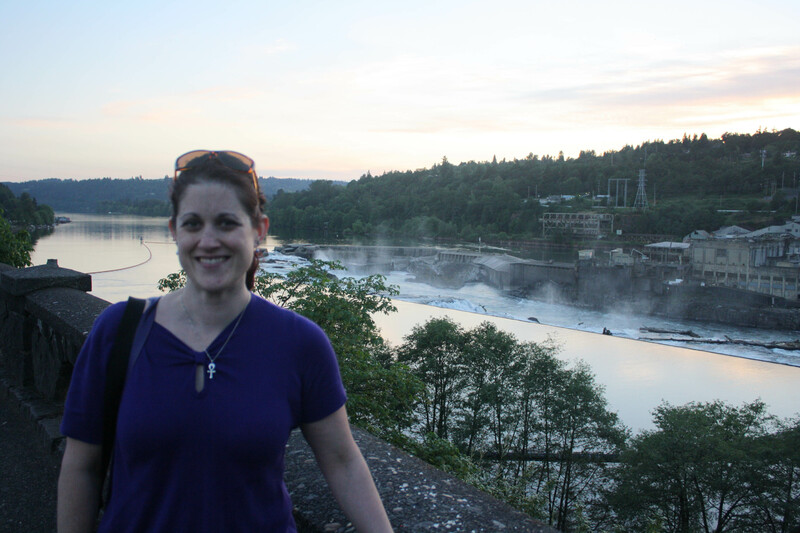 For our date night, Michael and I went to a neck of the woods we rarely venture to: Oregon City. He had a Groupon for the Highcliffe restaurant in Oregon City that was going to expire soon so we made a night of it. I’d never heard of the place but it was super cute and charming. The restaurant turned out to be huge! Pretty much the whole block. 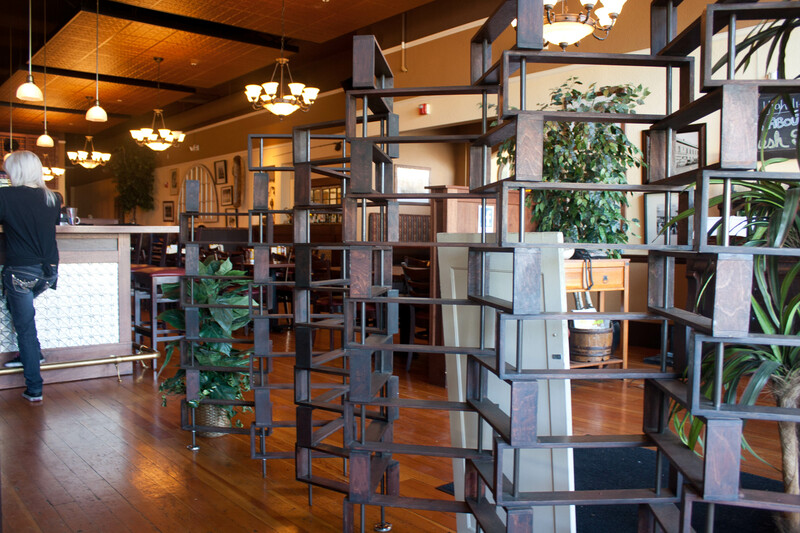 There was a diner/bar section, the regular restaurant section, the back had a formal dining room, and there was an entire upstairs for rentals (weddings and such). It was old and cute. I wasn’t starving so I ordered the soup + salad combo. I got the Chicken Caesar (she forgot the chicken and brought it out after I took the picture) and a cup of the salmon chowder. I used to be a HUGE fan of clam chowder–if it was on a menu, that’s what I ordered. I haven’t had it in a long time, mostly because of the calories in a creamy soup like that. But when I saw that they offered salmon chowder I had to try it. It’s something I’ve never had before and have considered making it at home. The chowder was pretty good; it was thick and very rich in flavor. It was on the sweeter side, but I suppose that is to be expected with a fish like salmon. 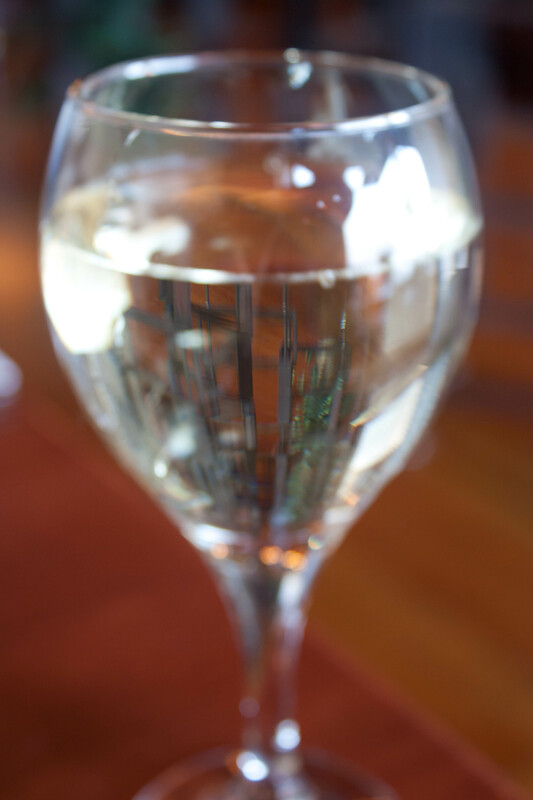 I had one glass of Pinot Gris with my dinner. The salad was pretty good, too. Caesar is a hard one. It can go horribly wrong quickly–too spicy and it’s overpowering, not spicy enough and it’s boring. Nothing compares to the intense garlic of my aunt Sheila’s Caesar dressing (it’s my favorite) but this one wasn’t bad. It could have been slightly spicier in my opinion. 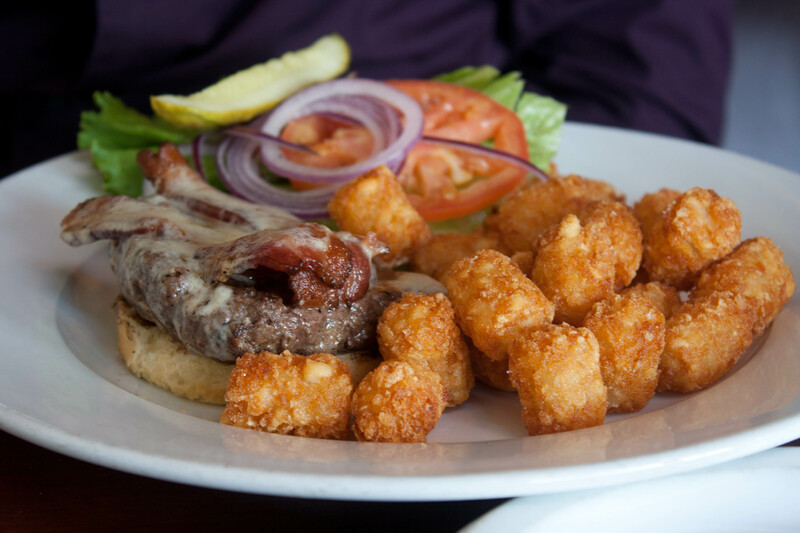 Michael ordered the burger with bacon and Tillamook white cheddar (and tots–which were amazing, salty and crispy and perfectly flavored) with a spinach salad on the side. His burger was gluten free!!! The restaurant (in the middle of nowhere) had gluten-free options. The smoked gouda mac n’ cheese had the option of GF. We were shocked. He liked the GF bun and said it wasn’t as dry and dense as some of them are. The burger was decent but overcooked. That isn’t the fault of the restaurant though, most of the time when we go out and order a burger “medium” it’s cooked more than we’d like. I’m sure it has something to do with restaurant standards and such. Anyhoo! The date night was really nice. After dinner we went for a stroll. Michael was driving through the old part of Oregon City (Main Street) and drove by some huge thing I’ve never seen before. I said STOP! Let’s look. So we did. What IS IT?!?!?! Is it something out of Lost?! Is it Oregon’s Space Needle? I had no idea, so of course we had to explore. Luckily it was a very nice evening, warm and sunny. 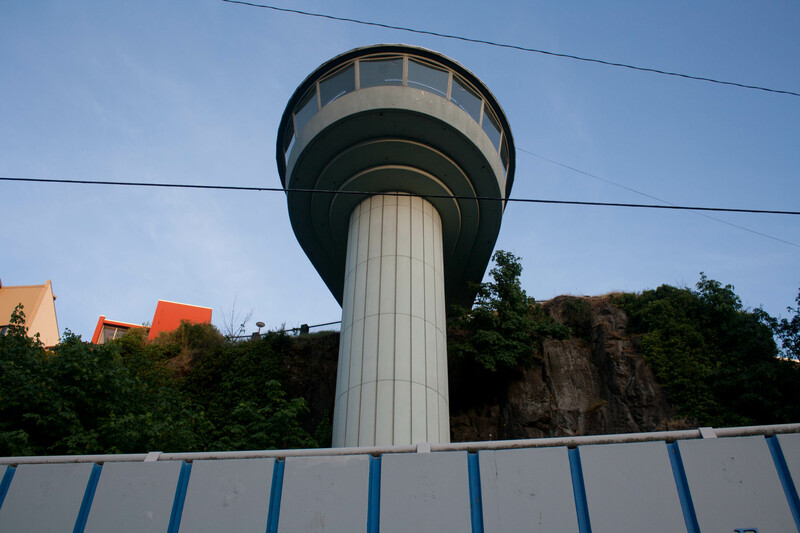 We checked it out and apparently there is an elevator that goes from the bottom to the top of the cliff. Unfortunately, it was already closed for the evening so we had to take the stairs. How odd is this? I need to learn more. There were what seemed to be a thousand stairs. Luckily they were those shallow kind so not too hard on the knees. But boy did I feel it in my glutes (sore!) and Michael was moaning because he’d biked 25 miles already that day. We were both huffing and puffing by the time we go to the top. 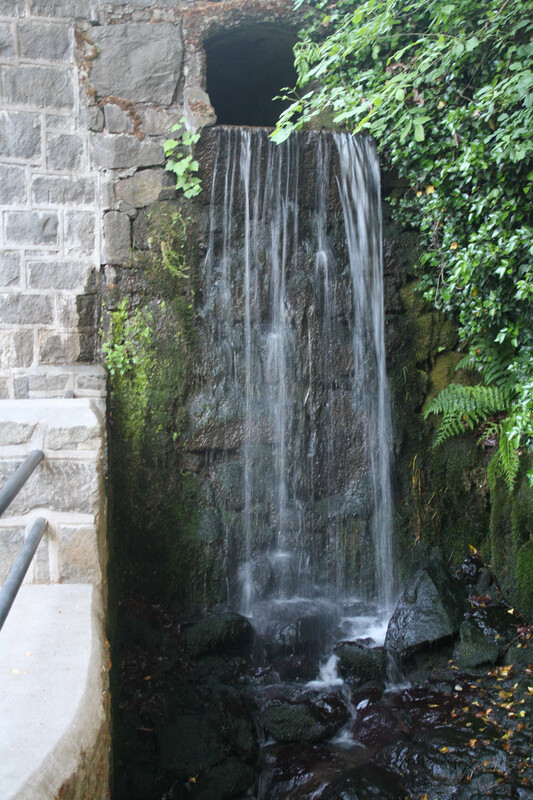 There were two waterfalls at the top. Did you ever play the game Oregon Trail as a kid? I know I did, growing up in Seattle. Back in the day when the Apple computer was the small square. 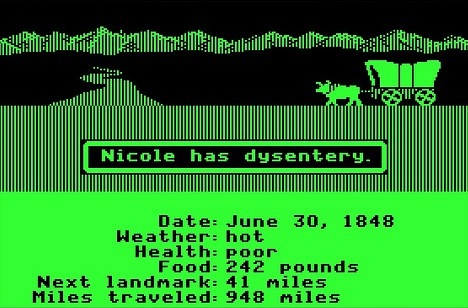 In elementary school we played the game “Oregon Trail“–remember, where you died of like dysentery and typhoid fever. We finally made it to the top of the stairs. 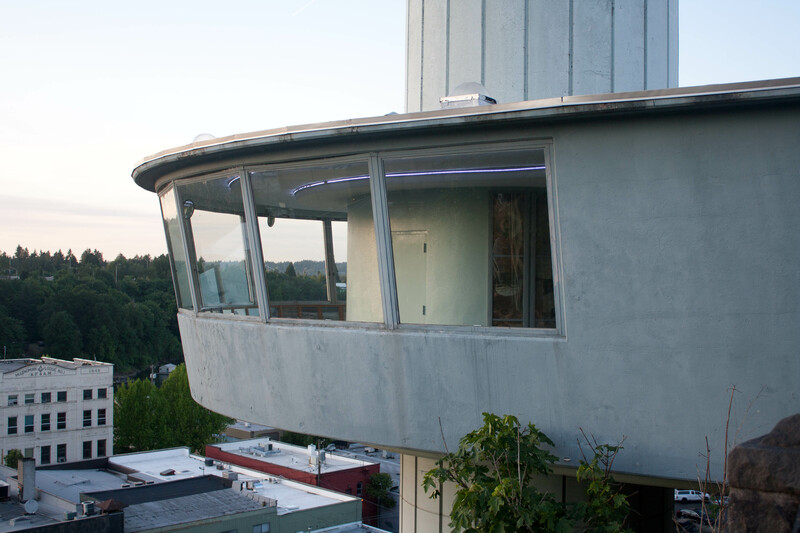 There was a museum (it was closed) and the top of the elevator that looked like a space ship was there. Also closed. 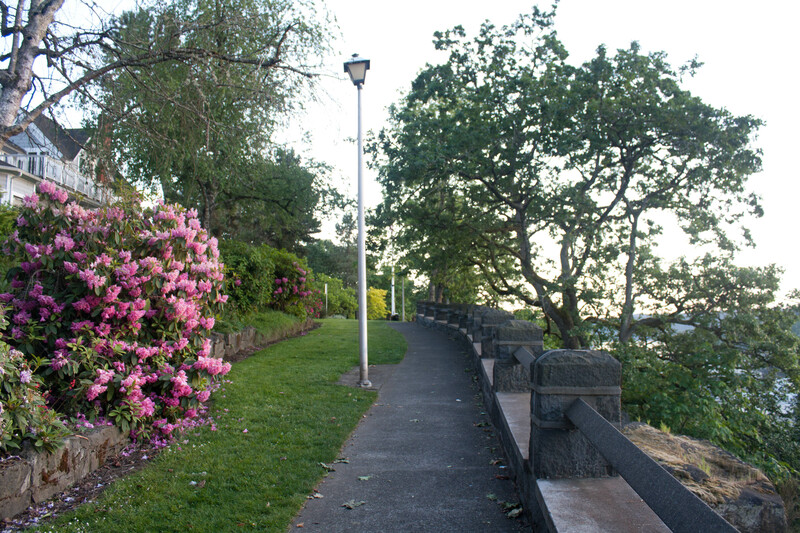 It turned out there was a Promenade at the top of the hill. 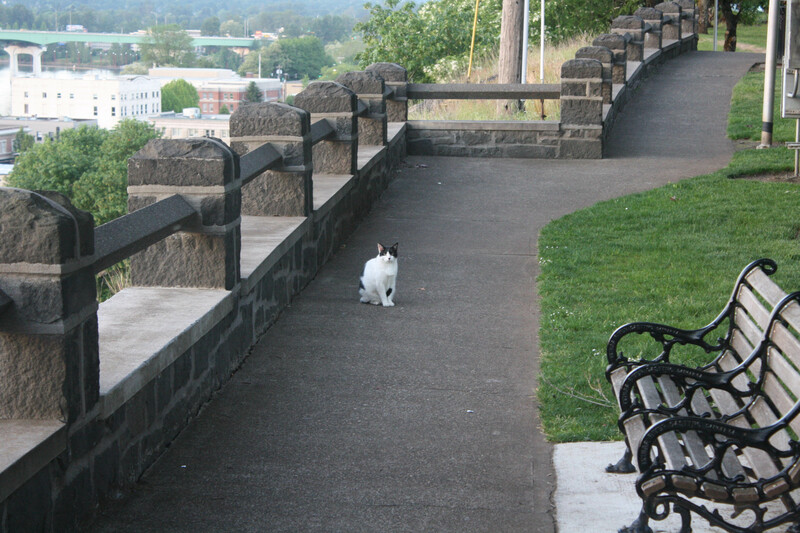 I’m not sure how long it is but we ended up strolling down it until we got to a lookout point. The walk was nice. There were some other people around, a few runners, lots of blooming flowers and some very old Victorian houses that would be perfect BnB’s. There is so much history there! I was impressed and also embarrassed that I didn’t know a lot of the history. It turned out that area was an old Indian fishing village and it was also the home of the first locks. Look at that crazy waterfall! It was a romantic walk and the sun was starting to go down over the hills and trees. Across the river is West Linn, another old city. My knees did okay on the walk. It was starting to get darker so we turned around and headed back to the car. It was a nice after dinner walk. I definitely want to go back and explore some more; check out the museums when they are open and the weird elevator! It’s always cool to discover something new in your home city! I love that. I got the Portland Stair walk book and have been doing those kinds of hikes. We were actually in Oregon City too a few days ago. It’s becoming quite cute and quaint. 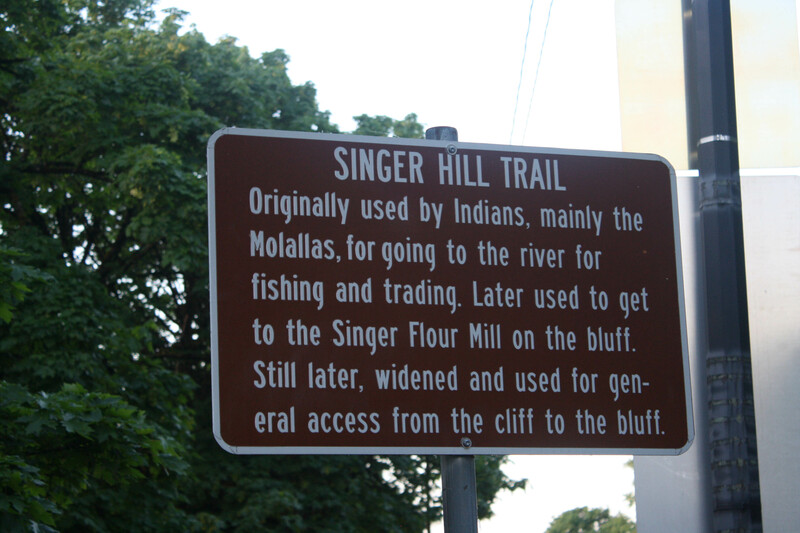 We went to the Singer Hill Cafe and had cinnamon rolls, which were fantastic by the way. Off to look up this stair walk you did! I’ve been hearing a lot of good things about that book. I should check it out. Thanks for the restaurant tip. I’ll try it. You live in such a lovely part of the world! When I saw Tillimook Cheese mentioned, it reminded me of our honeymoon. We did the touristy Tillimook Tour when we were in your neck of the woods, and it was fun. Have a lovely Friday Lisa. Tillamook Cheese Factory is really fun! The ice cream and cheese are amazing. When we’d go as kids we always got a cone. Mmmm! Sounds like a great restaurant! 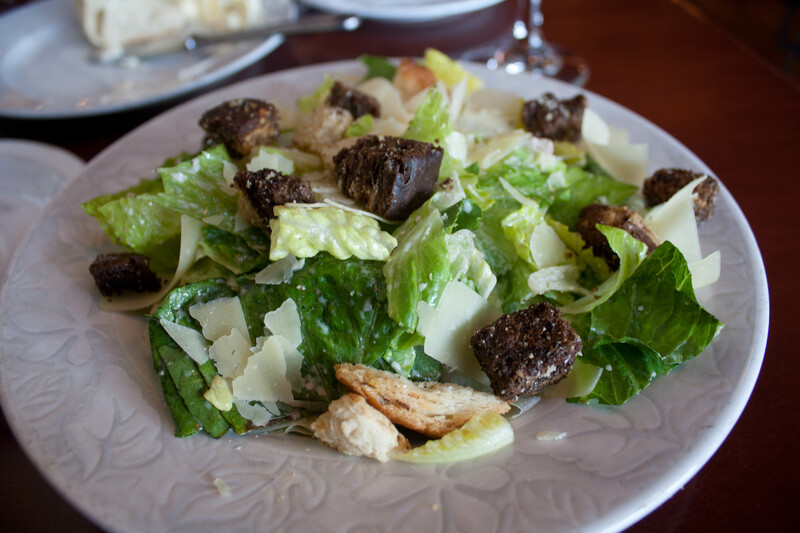 A good Cesar salad is always a good choice. Miz recently posted..Are big bloggers cliquey? It’s a day by day thing.